After two weeks of depressingly bad air quality, a cold front has come through Guangzhou bringing clear air with it. Lately, it seems that in Guangzhou we can either have beautiful balmy 70-degree weather and brown haze or cloudy gray days with clear skies. I’m not complaining though, I love the rare moments when I can curl up in a blanket at home and enjoy the novelty of wintry weather in Guangzhou. It also serves as an excuse to wear the new knee-length winter coat I recently bought on Tao Bao for $18. Tao Bao is like Chinese Amazon crossed with Etsy and EBay, just much cheaper since most everything on there is wholesale. On the bright side (because I am firmly a glass half full kind of person), the bad air forced me inside for focused studying for an upcoming exam. I’m pursuing a professional certification related to international affairs. The test has a “job knowledge section,” which is basically a trivia section on World and U.S. history, so I’ve been reading a lot and taking a multitude of practice tests. I’ve also been watching The Marvelous Mrs. Maisel on Amazon Prime. I’m counting that as related to studying because it’s set in the 1950’s and has some useful tidbits about U.S. culture. For instance, the main character laments having to read Dr. Spock to learn about raising children. I kid you not, one of the questions on a practice test I took literally asked, “What author’s book on childrearing was a hit following World War II?” So obviously I have to continue binge-watching it for research. Call the Midwife also came back this past week, so that will be excellent for any questions on the UK in the 1960’s. 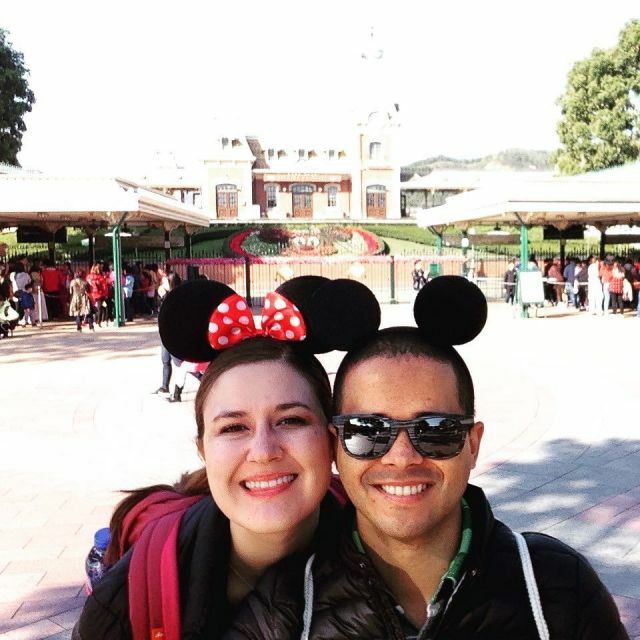 We recently went to Hong Kong over Amaury’s birthday weekend. No matter how often we visit that glittering city, we always find new things to do and try. 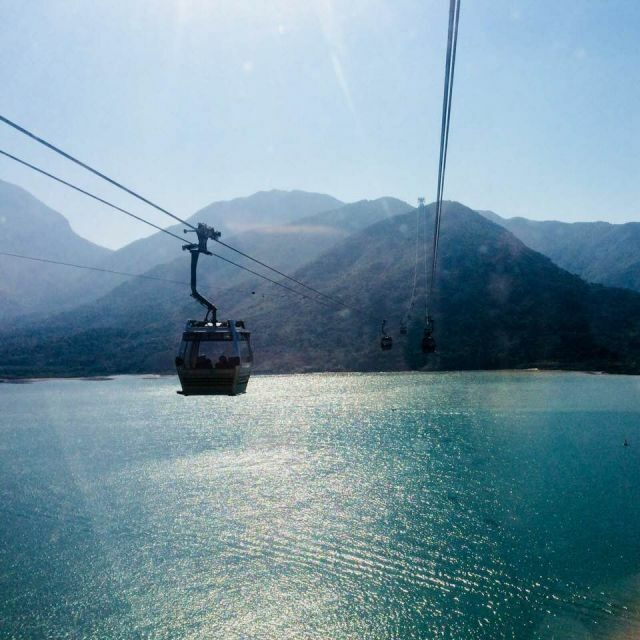 This time, we explored Lantau Island, a scenic nature reserve filled with hiking trails, cultural sites, and Disneyland. Arriving around lunchtime on a Saturday, we began our weekend with dim sum, mandatory for any Hong Kong trip in our opinion. Serial TripAdvisor users, we found that One Dim Sum, a top-ranked dim sum restaurant in the city, was just a short walk from where we were staying in Mongkok (we love the Dorsett Mongkok– good service, decent room-size, and proximity to metro and landmarks). When we arrived, we were a little confused to find a tiny storefront in an alleyway with just a few folding tables and chairs. I was a bit hesitant, but Amaury was feeling adventurous, so we sat down and ordered. Of course, it was one of those wonderful travel moments where a hole in the wall place bests the most expensive restaurants in terms tastiness and quality. We gorged ourselves on dumplings, pandan cake, and amazing egg custard balls that I’ve never seen before and will probably spend hours trying to find again. 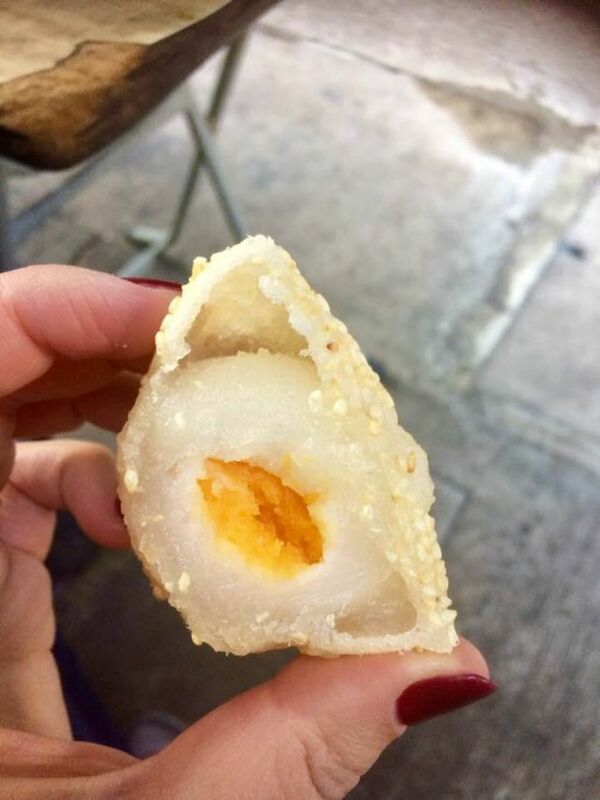 They have a sweet egg custard yolk, white sugary middle, and finished with a crispy sesame shell. Full and happy, we took the MTR over to Tung Chung station on Lantau and walked over to the Ngong Ping Cable Car station. We opted for a glass-bottomed “crystal cabin” to beat the queue and better see the view. 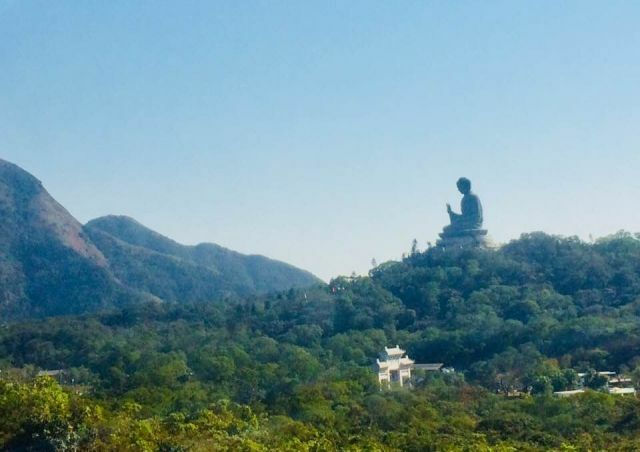 The cable car took us up over the Hong Kong airport, along Lantau’s impressive peak trial complete with tired hikers, and past the Big Buddha and Po Lin monastery set into the mountains.We’ve been doing well at visiting giant Buddhist statues lately! 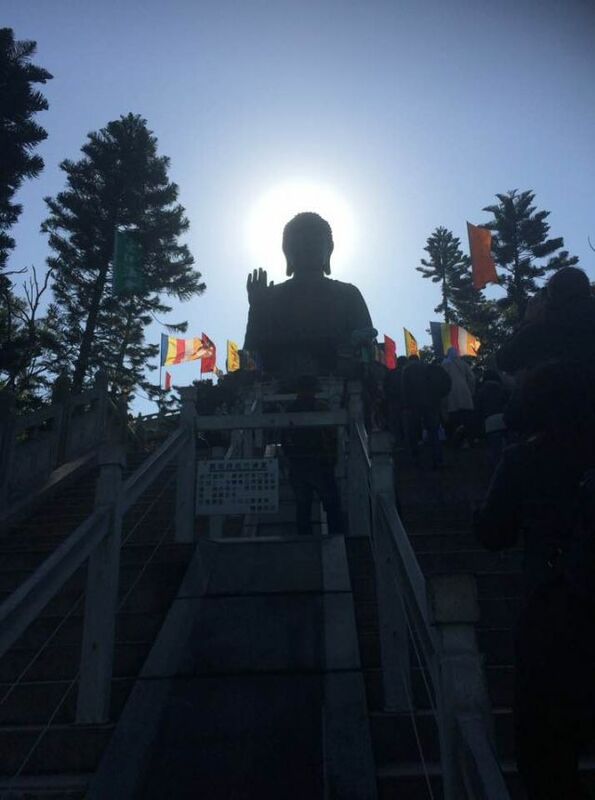 Once at the top, we spent a lovely few hours exploring the Big Buddha and monastery up close. 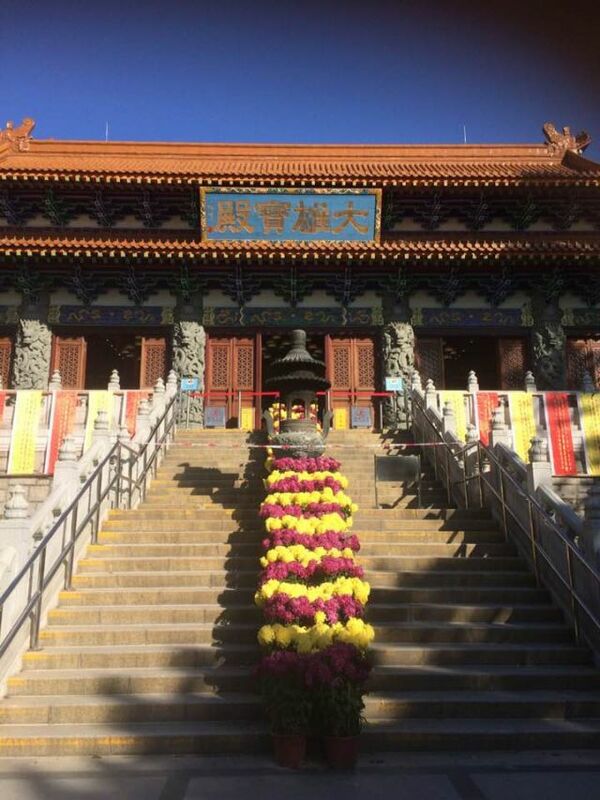 Inside the Po Lin temple were 10,000 Buddha statues quietly sitting among candles and offerings. Most of the statues were small and tucked into thousands of square shelves along the walls, but 10 huge golden ones of the Buddha and his closest disciples sat tall up front. No photos of the inside of the temple were permitted, though one man did get told off by a nun who went from serene to stern in the one second it took her to notice him wielding his camera. 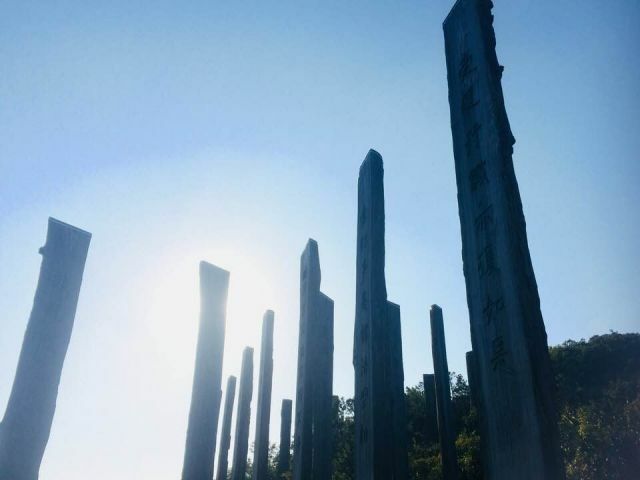 We also took a short hike up to the Wisdom Path that winds around a series of wooden poles in an infinity symbol that collectively display the Heart Sutra. 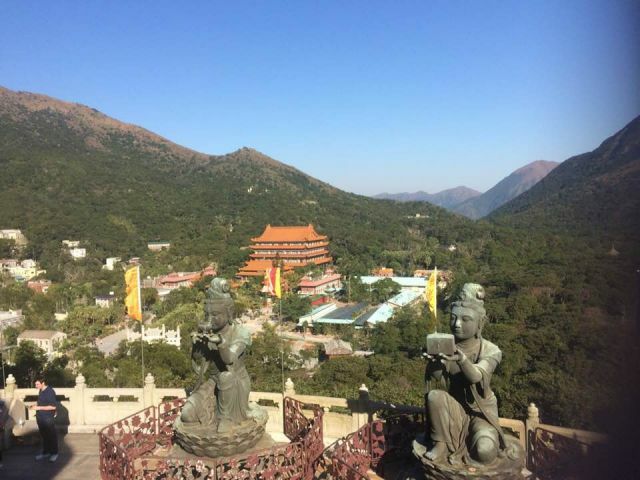 Lantau is known for having excellent and challenging hiking, but we opted for a more relaxed saunter that day. 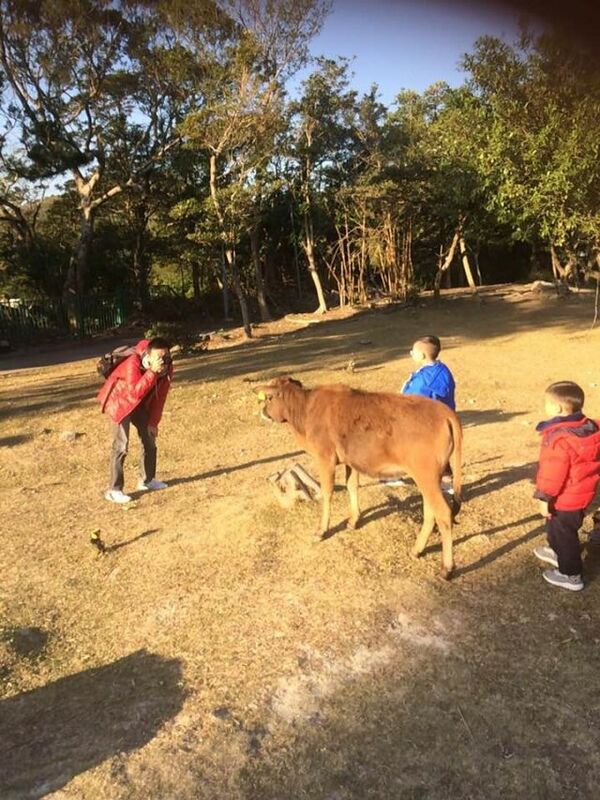 Though the sights were incredible, I have to admit that my favorite thing was observing the many cows that were wandering around the complex as well as the tourists getting up close to take artsy photos of them. We headed back down the mountain with plenty of time for a short nap before meeting our friend K for dinner in Central. This time, we only spent one evening over on Hong Kong Island, but it was still fun to revisit the glittering downtown streets that are familiar friends to us now after our many trips there. The next morning we breakfasted on leftover pandan cake and dim sum, before heading over to Disneyland in time for the gates to open. Having been to California Disneyland many times, I’ll say that HK Disney is great but certainly much smaller and less exciting. That said, it was still a treat to spend a day there going on rides, seeing kids excitedly taking photos with characters, and beings kids for a day. 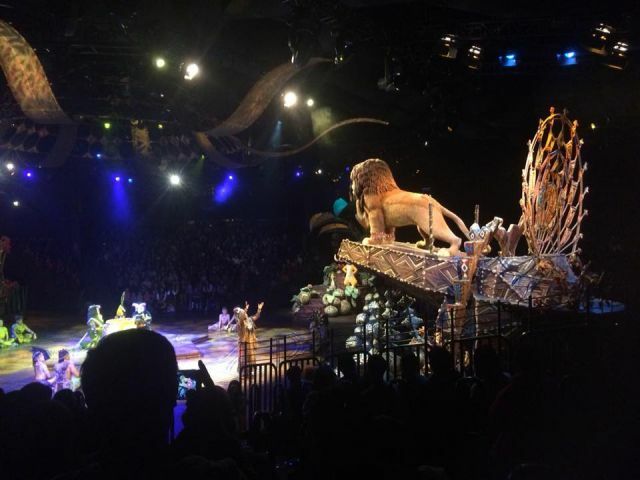 Our favorite thing was the Lion King show, which was high quality and entertaining from start to finish. 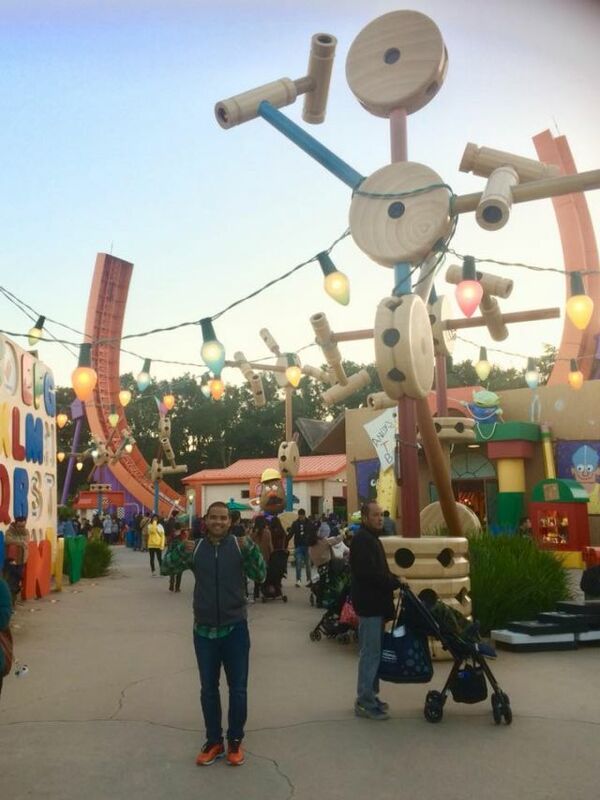 Amaury loved the ride at Toy Story Land that takes you high up and drops you back and forth from end to end of a giant horseshoe. Meanwhile, I was excited to see that the park had the runaway mine cars ride in the Grizzly Gulch. 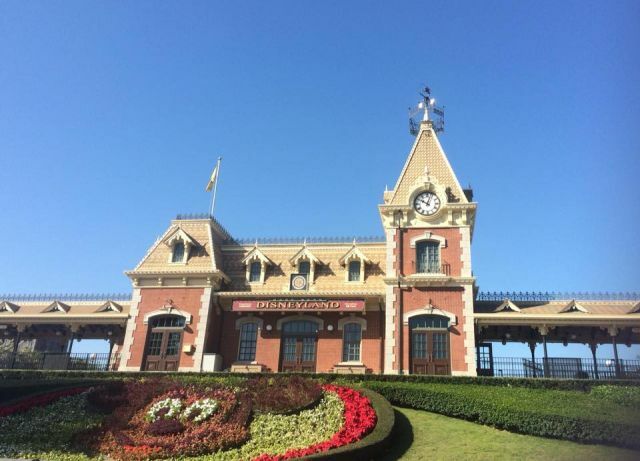 Since the park is quite small, we had more than enough time to ride our two favorite rides twice, see all the major attractions, and catch the evening parade. Yes, Amaury managed to convince me to go on that horseshoe thing not one, but two times. I startled the poor people sitting next to me with my unabashed screaming. I have quite a piercing blood-curdling screech when dropped from a great height. 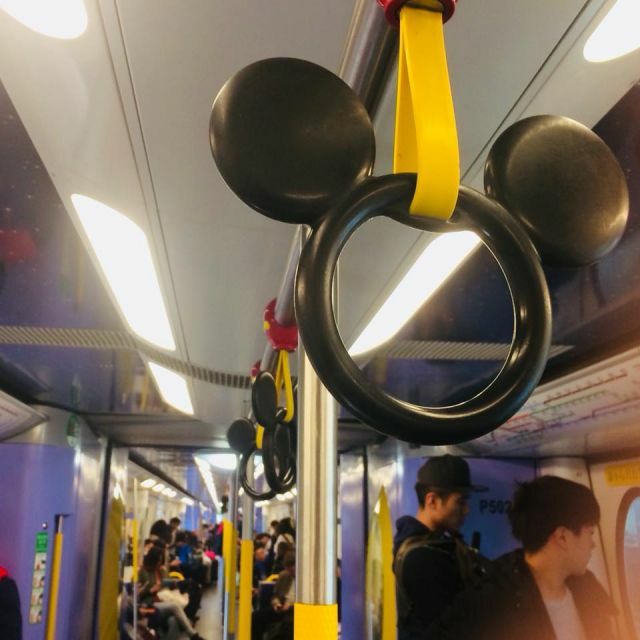 Overall, I’d say that if you have several days in Hong Kong, HK Disneyland is worth a visit for one day or two if you have kiddos. I’ll have to take Amaury to California Disneyland next time we’re in LA though. I spent most of the time comparing the two parks, which he lovingly tolerated. 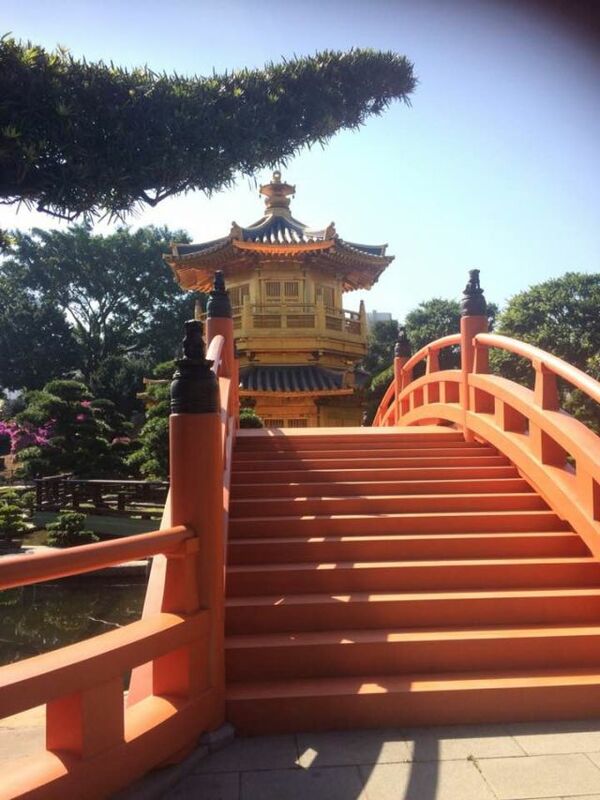 The next day, we spent our last few hours in Mongkok exploring the Tang Dynasty style gardens at Nan Lian park. It is impossible to be anything other than relaxed wandering through that scenic space. 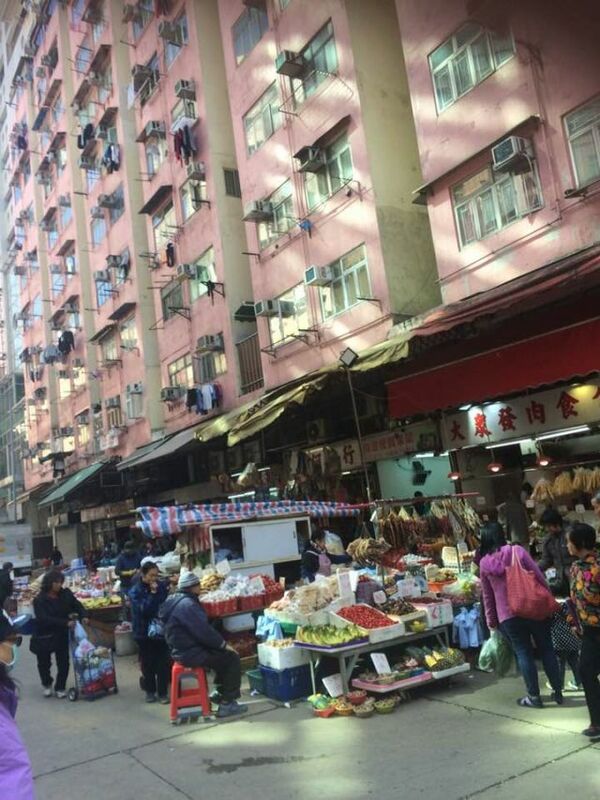 Beneath tall apartment buildings and mountains, it is both a world apart from the busy city while being connected to Hong Kong history and culture. 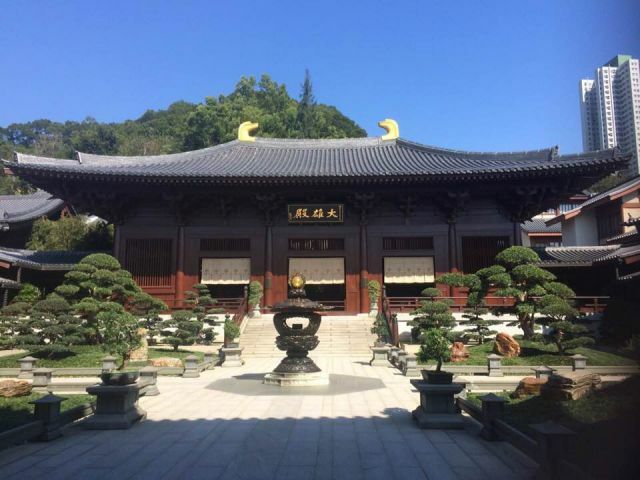 We spent a good hour just walking around the Buddhist temple, reading wise and calming inscriptions and soothed by chanting playing out of hidden speakers throughout the complex. 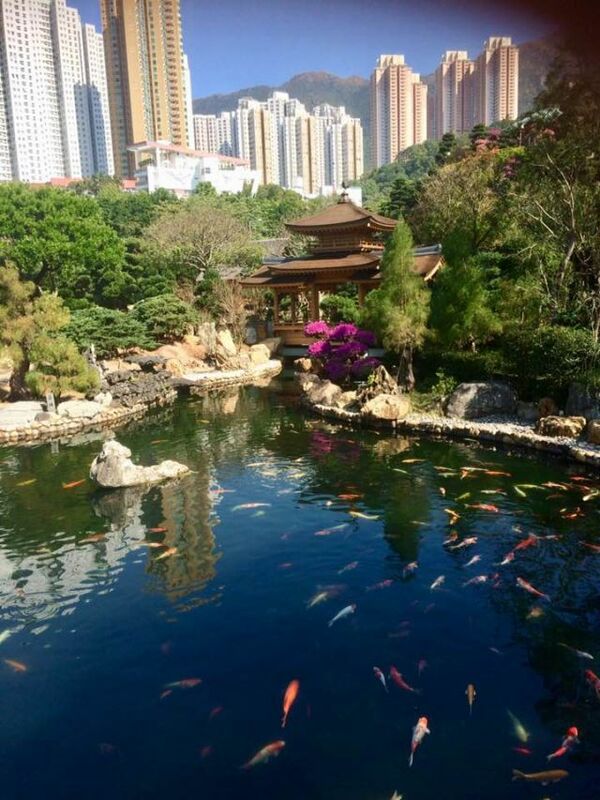 One of the perks of living in Guangzhou is being so close to Hong Kong. The city has so much to offer and always unfolds new wonders every time we visit. Ah, the timer on our bread machine just went off, hailing fresh French bread for dinner. I’d better go make soup and then continue lounging around in my pajamas. I do so love the cooler weather.